The Supreme Court has ruled that it is only a State House of Assembly that can make laws on tourism or licensing and grading of hotels, restaurants, fast food outlets and other hospitality establishments. A panel of the apex court judges on Friday unanimously dismissed the case filed by the Attorney General of the Federation and upheld the contention of the Attorney General of Lagos State, Ade Ipaye, that the Constitution of the Federal Republic of Nigeria, 1999 as amended, only empowers the National Assembly to regulate tourist traffic, a term which does not extend to hotel registration or licensing. The Supreme Court declared valid both the Hotel Licensing Law of Lagos State (as amended) and the Hotel Occupancy and Restaurant Consumption Law of Lagos State, while the offending sections of the Nigerian Tourism Development Corporation (NTDC) Act were declared null and void. The Lagos state government and federal government had been embroiled in controversy over the proper authority to license and grade hospitality establishments. This had resulted in the NTDC and the state government setting up parallel registration and regulation structures in the state. The Lagos Attorney General on behalf of the state government had argued during the hearing that the only power reserved to the National Assembly on the Exclusive Legislative List in Schedule 2 of the Constitution was the regulation of tourist traffic, which only pertained to immigrations and the issuance of visas. Representing the Attorney General of the Federation, Tunde Busari, contended that the phrase was enough to cover all tourism subjects and that the NTDC Act had therefore covered the field. On those grounds, Mr. Busari called on the court to invalidate the Hotel Licensing Law and Hotel Consumption Tax Law of Lagos State. The Court however ruled in favour of Lagos state in this case and also in another case filed on the same subject which was consolidated with the first one for hearing. Justice Suleiman Galadima who read the lead judgment rejected the submissions made by Busari on behalf of the federal government in both cases, and dismissed the case. By dismissing the case of the federal government, the apex court has put paid to this controversy and paved way for state governments to take full charge of tourism regulation and development within their respective jurisdictions. Commenting on the judgment, the Commissioner for Tourism and Intergovernmental Relations in Lagos state, Disun Holloway declared the ruling as a landmark and commended the Supreme Court for upholding the tenets of Federalism. He added that the judgment will eradicate multiplicity of taxation and regulation, thereby enabling states to take charge and properly plan for the hospitality industry in their respective territories. 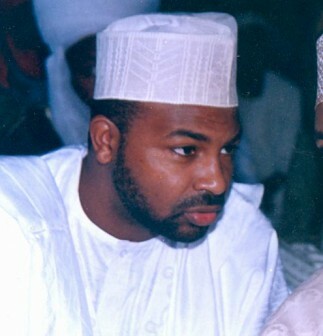 The family and 19 close associates of the late Head of State, General Sani Abacha, have lost their bid to recover $800 million seized by the Federal Government. The fund, allegedly looted by Abacha’s family, was recovered by the General Abdulsalami Abubakar – led government. The family and 19 companies owned by the family had gone to the appellate court seeking to upturn the decision of the Federal High Court Abuja, which dismissed their suit, challenging the constitutionality of the letters written by the Federal Government to governments of some foreign countries. Justice Suleiman Galadima, who delivered the lead judgment recently at the Supreme Court, threw out the appeal saying it is incompetent and lacking in merit. The money was recovered by the government from Muhammed Sani Abacha and nineteen (19) other companies between 1999 and 2000. The companies are Juinin Finance, Savard International, Venfold Investment, Sulgrave Holdings INC, Raw Materials Development and Trading Co. Ltd., Technical Management Service Ltd, Allied Network Ltd and Blue Rock Properties. Others are Barven Holdings, Olmar Establishment, Peltora Establishment, Glotar establishment, KRH Capital establishment, Kurita Establishment, Tadil Overseas, Rike Limited, Warnbeck Holdings, Arwood Overseas and Larberidge Trading.